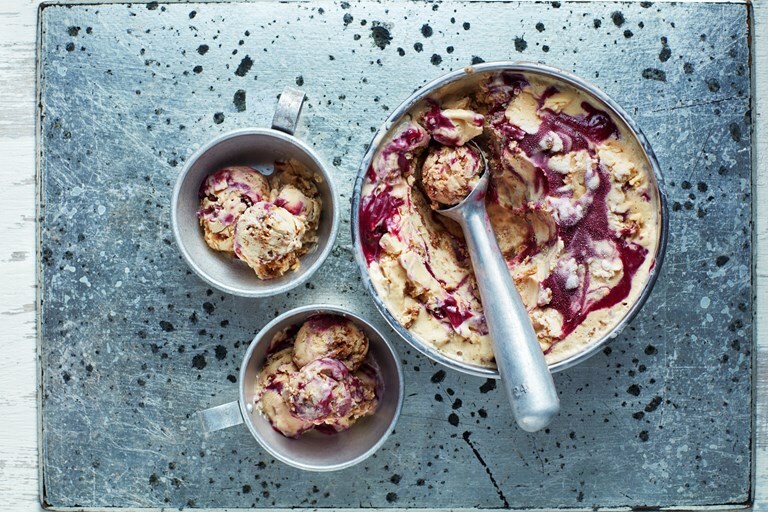 Victoria Glass's brown bread ice cream recipe is taken to the next level with a blackcurrant curd ripple. To the uninitiated, brown bread ice cream may sound a little odd, but this must-try, addictive ice cream flavour is perfect for transforming stale bread into a thing of beauty. This recipe is taken from Too Good To Waste by Victoria Glass, Nourish Books. Photography by Danielle Wood.